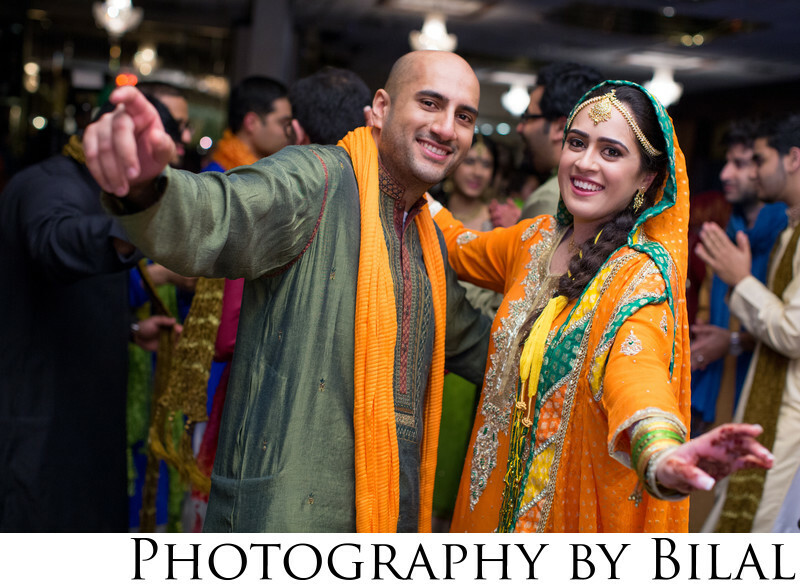 As a pakistani wedding photographer based in Central NJ, i've had the pleasure of meeting some great couples. Humaira and Asim were one of those couples. They were such a blast to work with. This is a shot of them on the dance floor during their mehndi.